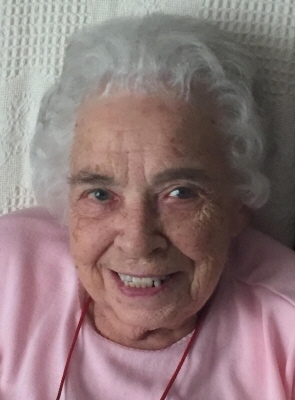 Dolores Agnes Kowalewski (nee Wolcyk) age 92 of Kewaskum, passed away Sunday, February 03, 2019 at the Aurora Medical Center in Grafton. Dolores was born June 2, 1926 in Milwaukee, WI to Mable (nee Klebesadel) and Raymond J. Wolcyk. She was united in marriage to Leonard W. Kowalewski Sr. on June 25, 1949 in Milwaukee. She enjoyed knitting hats and scarfs for her family. Dolores is survived by her loving children, Kathryn (Scott) Powers of Clarksville, TN, Leonard (fiance Leizel Joy Tale) Kowalewski Jr. of Kewaskum, and Virginia (James) Ferlitsch of Hubertus; four cherished grandchildren, Michelle (Matthew) Rodgers, Michael Powers, Diane (Derik) Sabel, Jessica (Jeff Haberer) Ferlitsch; and two great-grandchildren, Gabriella and Isabella Rodgers. She is further survived by other loved relatives and friends. She is preceded in death by her parents, husband, and sister, Lavern Becker. The family will gather at Resurrection Cemetery, Mequon, on Thursday, February 7 from 11 AM - 12 Noon to visit with friends and family. To send flowers or a remembrance gift to the family of Dolores Agnes Kowalewski, please visit our Tribute Store. "Email Address" would like to share the life celebration of Dolores Agnes Kowalewski. Click on the "link" to go to share a favorite memory or leave a condolence message for the family.